Caring for your eyesight begins with a complete eye exam. It is the only place in the human body where a doctor can see a part of the central nervous system, the optic nerve. The observation of that nerve is a crucial part of a comprehensive eye examination. 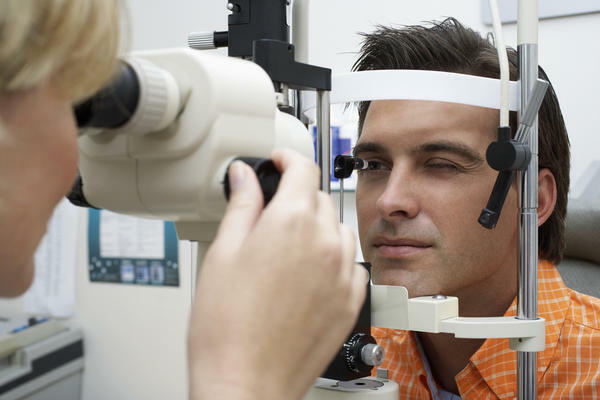 Optometrist and Ophthalmologist use a wide variety of tests and procedures to examine your eyes. These tests range from simple ones, like having you read an eye chart to complex tests, such as using a high-powered lens to visualize the tiny structures inside of your eyes. A comprehensive eye exam can take an hour or more, depending on the doctor and the number and complexity of tests required to fully evaluate your vision and the health of your eyes. Pupil dilation during an eye exam is very important at revealing the status of your optic nerve and retina, and it critical to preventing and treating eye conditions that could potentially lead to vision loss. Both the dilated and the undilated eye exams provide important information to an eye doctor. Let’s explore the undilated exam first. One of the first parts of a comprehensive eye exam is a test of your vision, and perhaps a measurement to determine an eyeglass prescription, both of which require that your eyes remain undilated. In addition, eye doctors will examine your pupil’s response to light prior to dilation. This can be important for determining whether the visual pathways for each eye are functioning properly. There is also an examination, called gonioscopy, which allows the doctor to examine your eye’s drainage angle with a special mirrored lens. The “angle” that is being referred to is the angle between the iris, which makes up the colored part of your eye, and the cornea, which is the clear window front part of your eye. When the angle is open, your ophthalmologist can see most, if not all, of your eye’s drainage system. When the angle is narrow, only portions of the drainage angle are visible, and in acute angle-closure glaucoma, none of it is visible. Part of a glaucoma examination is formal visual field testing, where your peripheral, or side vision, is tested. Ideally, your eyes are not dilated during this test. Finally, there are other parts of the front of the eye, the iris for example, which should be examined when your eyes are not dilated. The view to the back of the eye is limited when the pupil is not dilated. When your pupil is small, an ophthalmologist can see your optic nerve and macula but the view is limited. In order to see the entire retina, the pupil must be dilated. This is achieved through the use of eye drops. They typically take about 15-30 minutes to fully dilate the pupils, depending the person’s response to the medication, and typically take 4-6 hours to wear off.